In the recent times, we tend to hear the word “landing pages”. Actually landing pages are some type of web page that designed mainly for promotional activities. In our website, we will have a homepage, contact us page or service pages. Landing page focuses on any one service or any one product. There might not be any other navigational links so that people will just decide simply on the brand name or the content shown in the landing page. 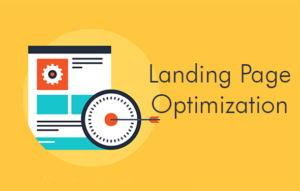 In this post, we will provide some pro tips for landing page optimization. Here we are concentrating on providing basic tips for landing page optimization. In this short list, you will get ideas to boost your landing page according to the common interests of your targeted audience. The consistency here refers to the theme. People anyhow visited your website so far ago but also they will have an impression of your website. So you need to consider the design at first. Don’t change the color patterns or font styles that you use before. And don’t add more ads or mismatching headlines in a landing page. Before going detail in this landing page optimization guide we must know who will be our targeted audience. As part of SEO, we may target people by looking through their country of operation. But it is too broad classification. In the case of landing page optimization, we must think about our audience. Their needs and likes will be different. Our product may be for a particular group of people, for example for pregnant women. Or sometimes people decided to purchase from us and they are looking for the best possibilities on our website. So we needed to prepare according to the audience. By this way, people feel that they are unique and the conversion rates will grow. We need to identify at least one goal for the landing page we created. That means our aim must be clear. We need to decide whether we need to have a number of mobile apps downloads or get as many possible newsletter signups. If your aim is clear then you could add the call to action buttons in your landing page. You may saw pages with “Sign Up & get 7 Days Trial” on various websites. This will give a quick action by the visitor. Or if you are working with a shopping site again adding a call to action button will make the visitor more confusion. Your goal will be reflected in the call to action. Finalizing it will help you and your visitor to perform well with the landing page. Test your landing page before going live! You should check for the designs and the elements that you add in the landing page. We are sure that optimized landing pages will produce more conversions. So we need to test the landing pages with various views. Checking the size of the labels and buttons both in the desktop and mobile will help you get a clear idea about user experience. You can also perform A/B test or bucket test for more precise conclusion about the individual conversions. Checking for the most common font or color that your visitors prefer (for CTA). Words used in the call to action buttons. Whether need to add an explained video on the landing page. Using info-graphics or charts for the visitors to understand the purpose. We are ready to go live with our landing page. And we need to think about the sources of visitors. It might be from Facebook or from a news website or from any other social media. If someone looks into your website through social media then you need to find out the errors that may cause when you use the website on a mobile phone. Page speed, image quality, visibility of buttons need to be noted. Or if you are preparing landing page for various people in different countries then the language might be a point to be noted. In this basics guide, we are also including some interesting optimization hacks for 3 different goals. Check it Out! This is quite an easy task to do. The following things need to be noted for this purpose. -More white space to reduce the distractions. -Use basic fonts to make it easy to read. -Mention the terms for subscription policy. -Provide information about the benefits and privacy. The lead generation is truly a tricky thing. We need to collect various data from the visitor. And we need them for more purposes too. 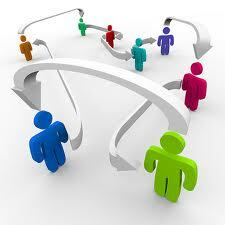 So if you are planning for lead generation you must need to have something to offer for them. A valuable insight or precise reports, case studies etc will make the visitor happy and they will provide the information that we need. Follow the below things to get more lead. -Give the terms and conditions details while asking for more personal data. -Give testimonials on the landing page for the assuring the quality. -Separate the signup form from the content in order to obtain better visibility. -Make the signup form according to the offered value. This is the toughest as well as interesting part. 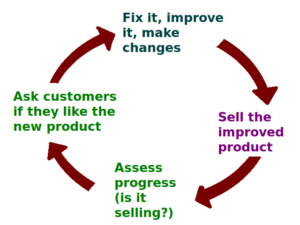 We need to understand the customer psychology to play in this field. Here the landing page will be precisely speaking about our product or service. We need to give spectacular images to draw attention. The clear descriptions for free trial or offers must be added to the landing page. Check for the below-mentioned things to get more conversions from these type of landing pages. -Various click to action buttons with different catchy words focusing on the primary goal. -Add the best images for product landing pages. -Add interactive elements for the visitor. -Providing testimonials or mentioning popular brand names as partners or customers.